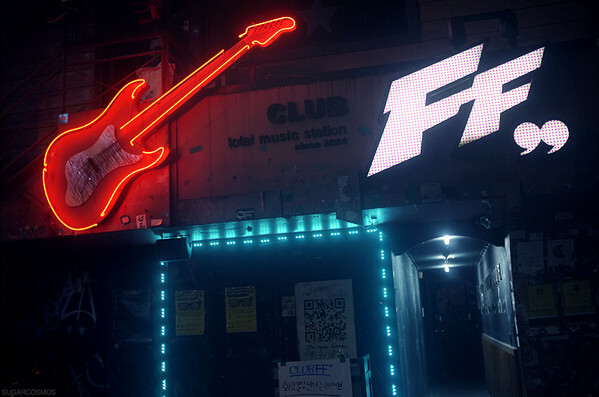 Club FF is a unique venue in Hongdae: It is an open stage for rock bands to perform live in front of the pub’s audience. Considering that rock is almost underground in Korea, it is highly enjoyable to discover new bands, made up with Foreigners, Koreans and both sometimes. One of its famous features is the “all you can drink” from 11pm to 12.